Stipe Miocic was one of the most successful names in the history of UFC Heavyweight division, with three successful title defenses in a row. Miocic became the 265-pound king at UFC 198 on May 14, 2016, when he put Fabricio Werdum to sleep via punch. Miocic defended the title three times versus Alistair Overeem, Junior dos Santos, and Francis Ngannou before he was dethroned by Daniel Cormier at UFC 226 on July 7, 2018, after a first-round clinch KO. “Oh, 100 percent,” Miocic told MMA Fighting when asked if a Cormier rematch means more than regaining the title. “It’s everything. Just because I know I’m the better fighter. I believe I’m the better fighter. In my heart. Stipe Miocic promises the world will see “a different fighter” next time he meets Daniel Cormier. “It wasn’t like he was wiping the floor with me,” Miocic said. “I just knew I was the better fighter in there. And let me tell you something, next time it happens, next time we fight, you’ll see a different fighter. A whole new me. A lot has changed. It seems Stipe Miocic wants the rematch against “DC” badly. At the moment, “The Baddest Man On The Planet” trains hard and enjoys his family. 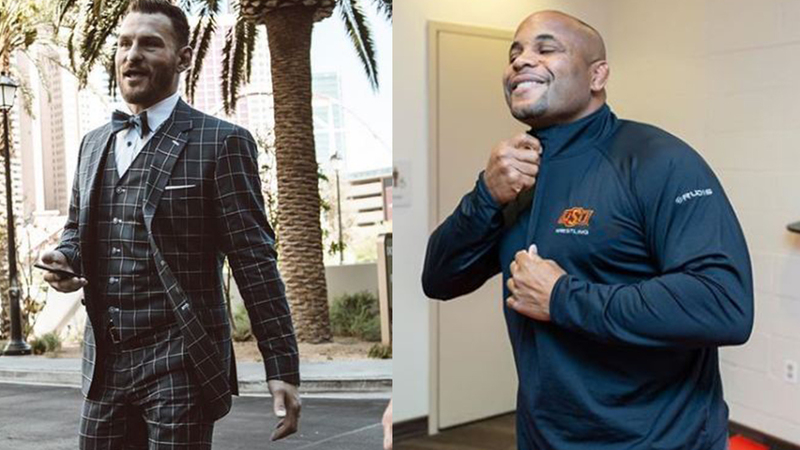 Would you like to see Daniel Cormier Vs Stipe Miocic 2 in 2019?